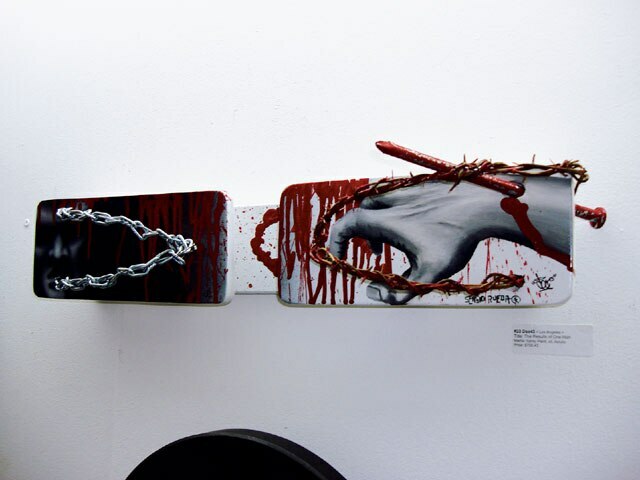 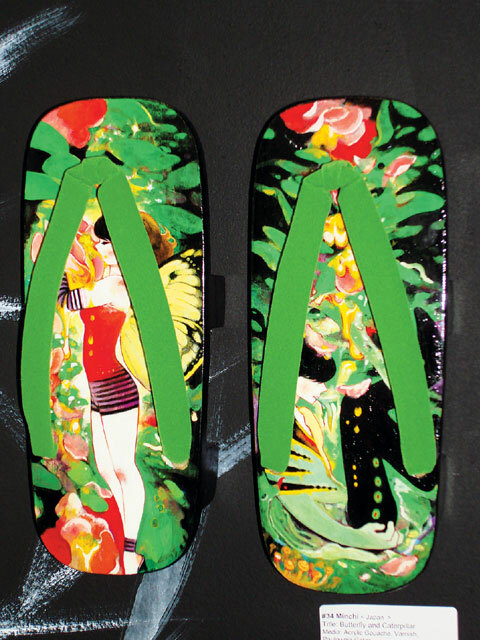 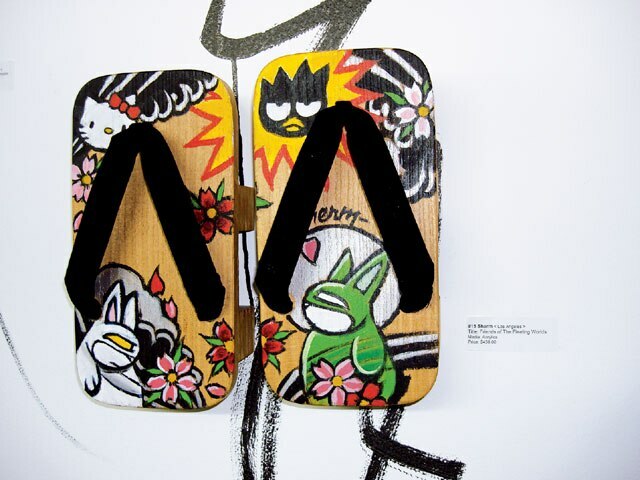 Galo "Make" Canote teams up with Melt Gallery to create a unique "geta" art exhibition. 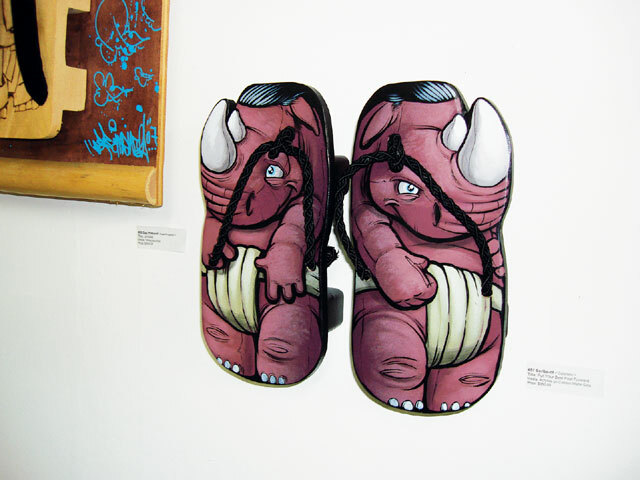 So we hit up Melt Gallery located in the Meltdown Comics store in the heart of Hollywood, California, where we met up with Galo “Make” Canote. 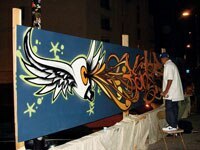 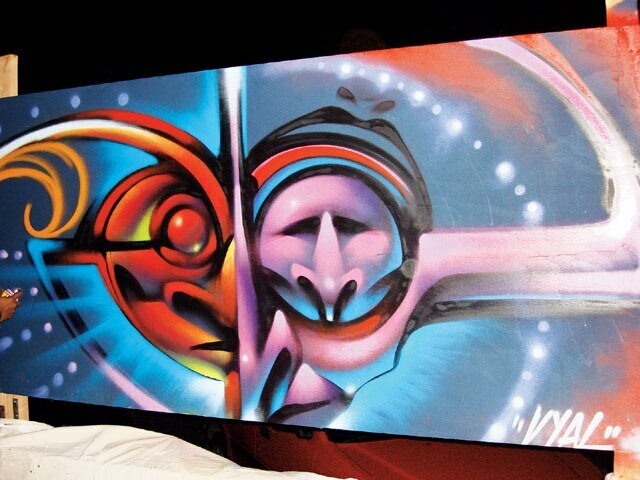 Make’s a legendary L.a.-born graffiti artist who has gained international recognition and acclaim. 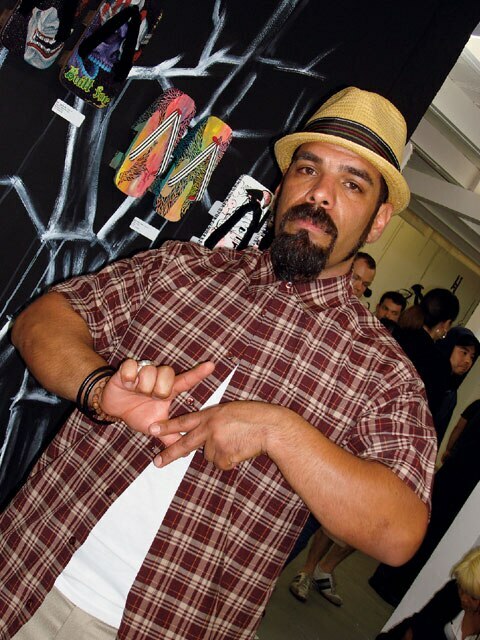 He’s known for successfully coordinating art shows and exhibits. 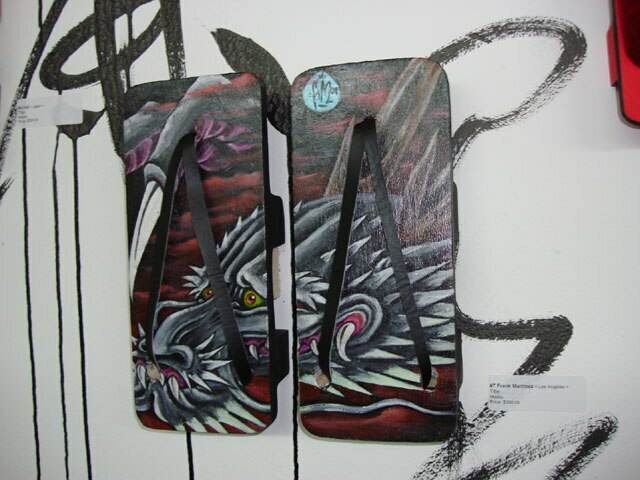 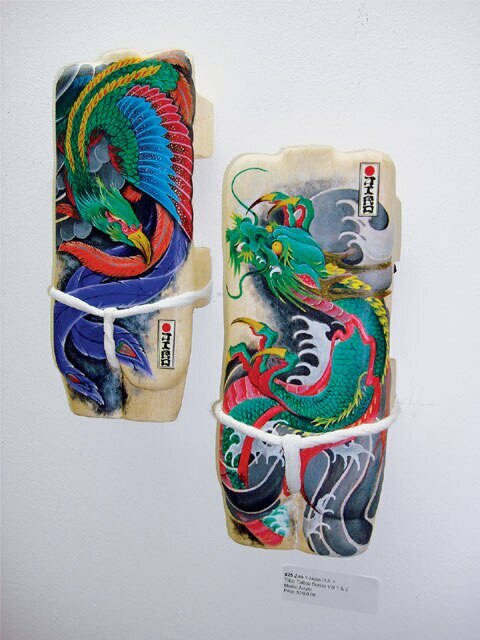 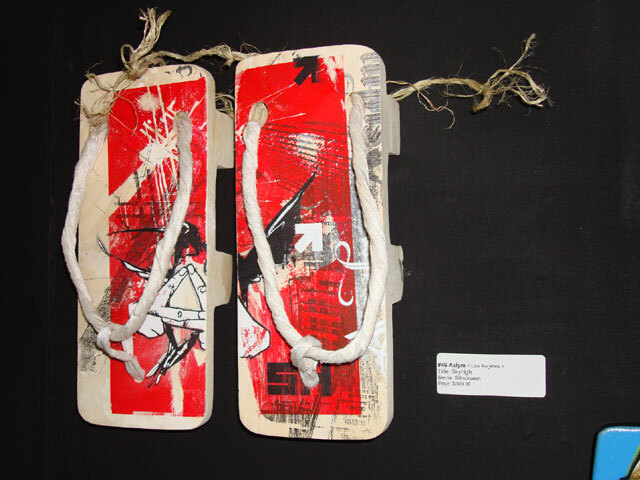 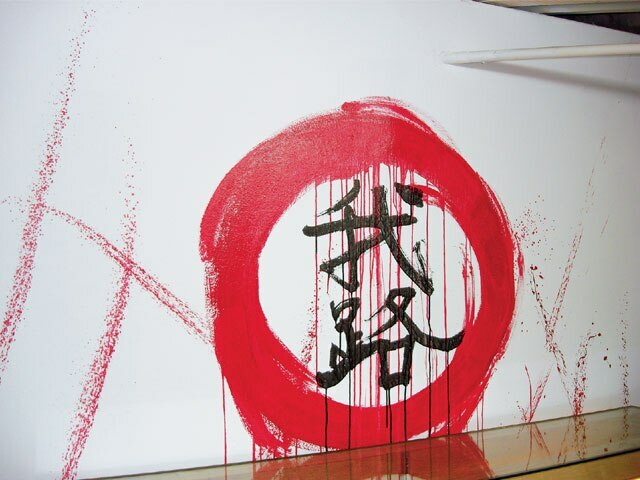 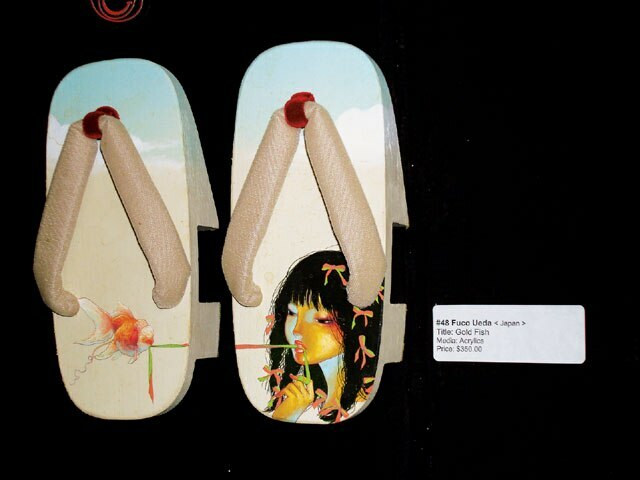 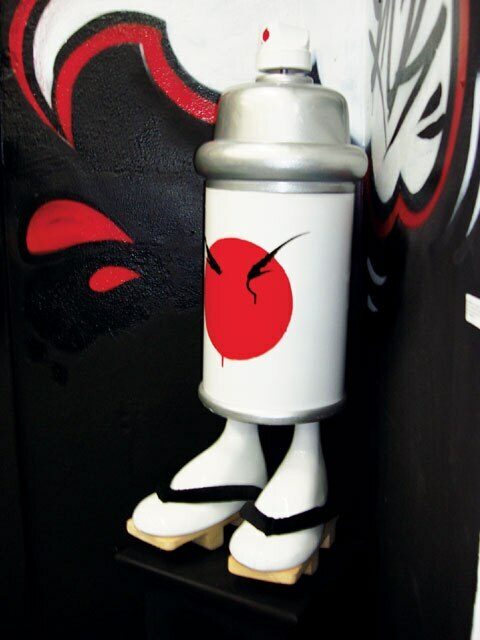 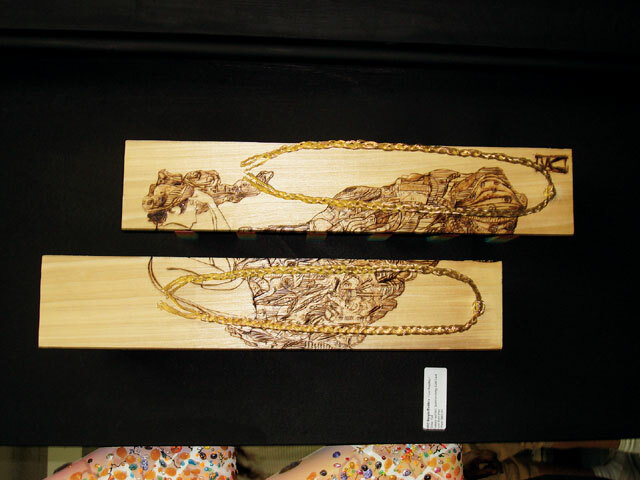 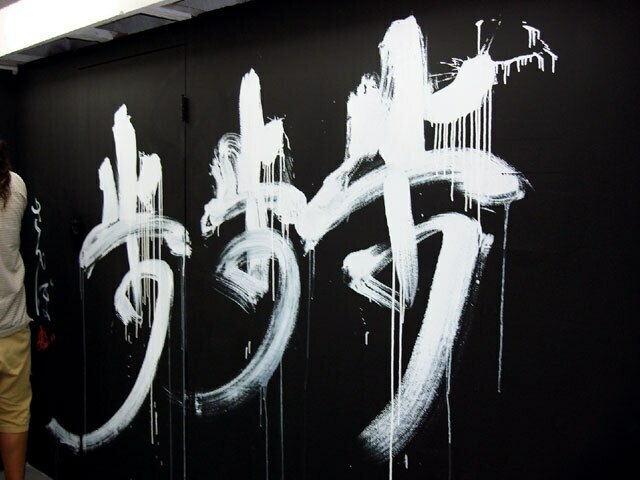 Make had a love for art and the Japanese culture since he was a kid, and his current exhibit includes “getas” customized by more than 70 artists, including internationally famous Japanese artists, local and underground artists, tattoo artists and legendary graffi ti artists. 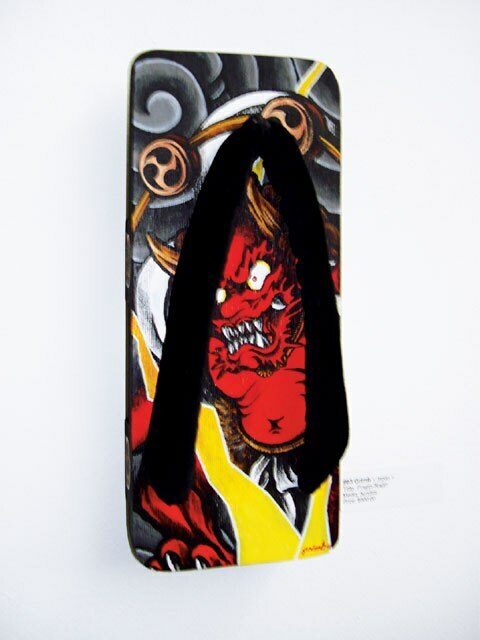 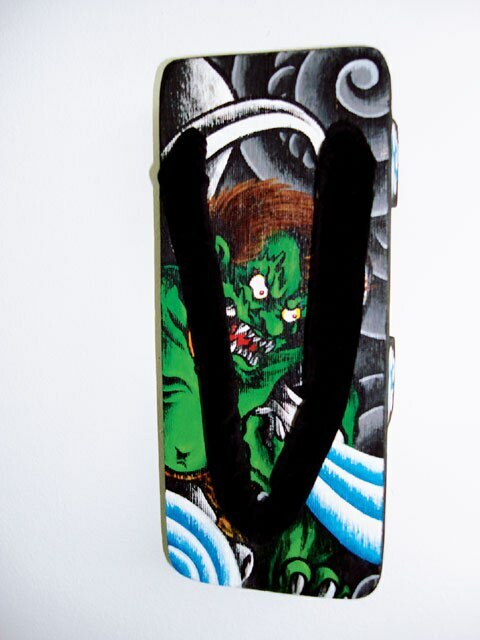 Getas are traditional Japanese footwear worn with traditional Japanese clothing such as kimonos and yukatas. 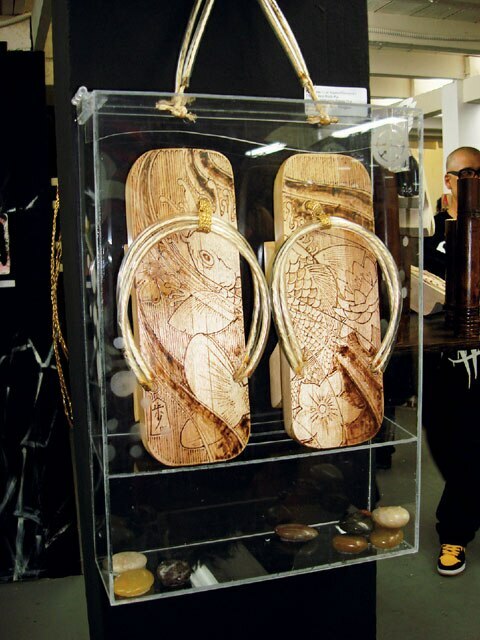 “Karan Koron,” the title of the show, is the distinctive “clacking” sound made while walking with getas. 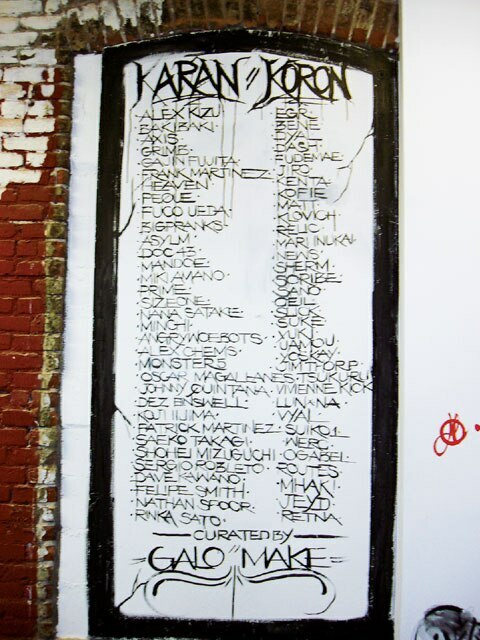 There was a large collection of work by international artists at this single exhibit. 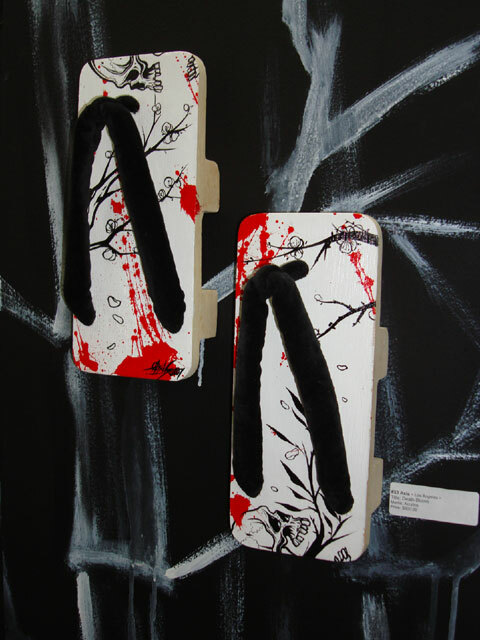 the getas were on display as physical interpretations of how the artist reflected on traditional Japanese culture by using modern-day art. 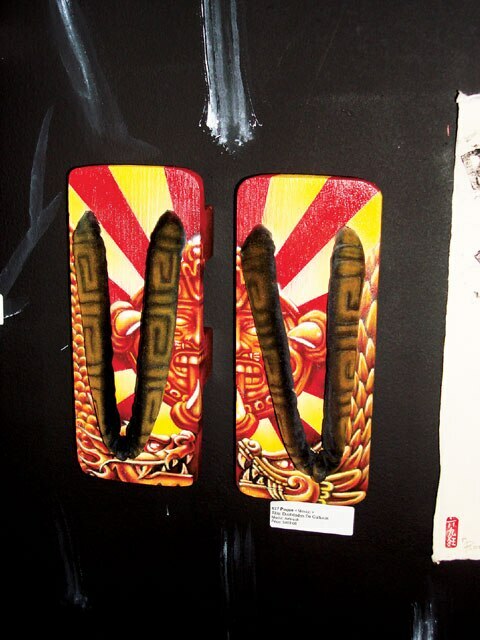 the artist created a hybrid of images and symbols unique to their lifestyle and culture. 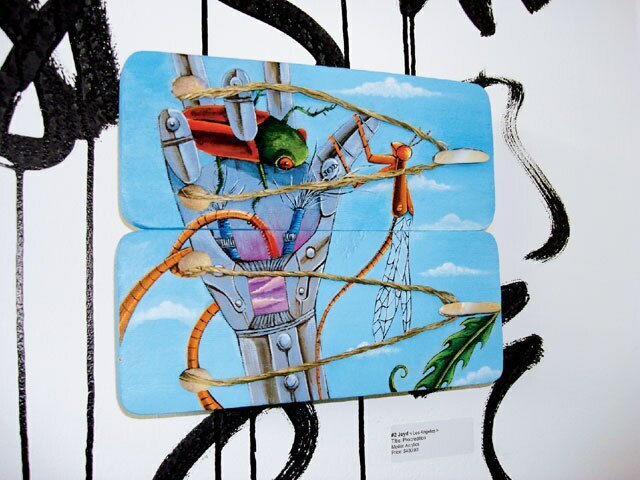 If you missed this show, check out Make’s webpage www.makestn.com to see what other projects he has coming up.